Officials hung a six-ton bronze bell at the seventh-floor of the Dong Loc bell-tower at the historical Dong Loc T-junction in the central province of Ha Tinh on July 20, marking the 42-year anniversary of the Nga Ba Dong Loc (Dong Loc T-junction) Victory and the martyrdom of ten young female volunteers. The event also marks the 60th anniversary of Vietnam voluntary force’s traditional day (July 15) held by management board of the Dong Loc T-junction relic site and Lilama 5 Joint Stock Company. 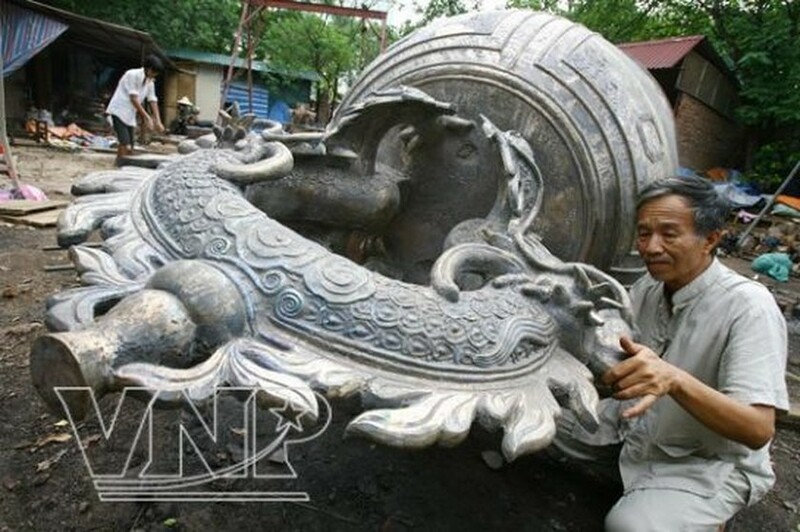 The bell, four meters high and 1.95 meters wide, was cast by the artisan Nguyen Van Ung from Hoa Mai workshop in Ngu Xa village of Hanoi and was funded by donations from individuals, organizations and businesses nationwide. The Dong Loc T-junction, which played a vital role in the transport of necessities and ammunition from the north and the south, is well-known for the story of 10 young unmarried female volunteers, who sacrificed their lives to ensure transport on the Ho Chi Minh Trail (July 24, 2010). From 1965-1968, the US army dropped nearly 50,000 bombs and fired tens of thousands of missiles at T-junction, in the hope of cutting off the transport route to the southern front. 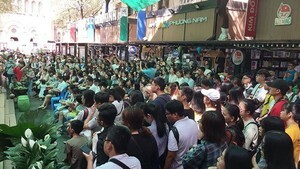 Dong Loc has become a historical symbol for the nation’s patriotic traditions.